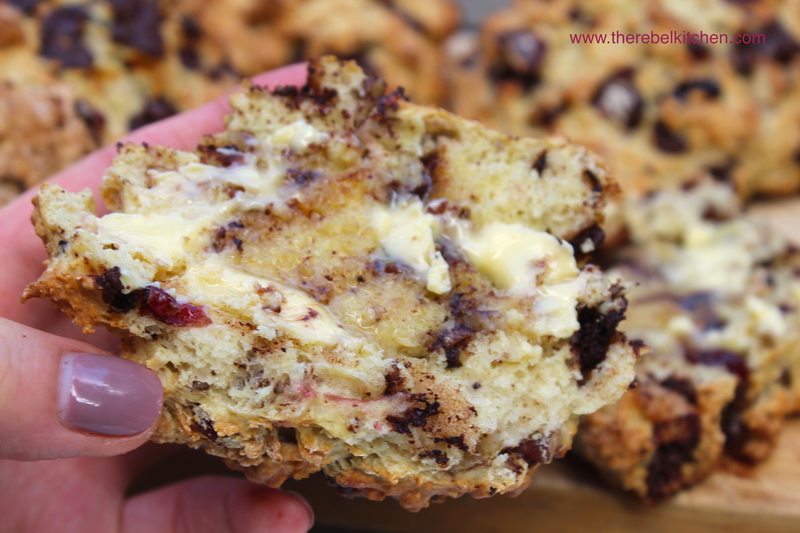 Calling all lovers of the humble scone! 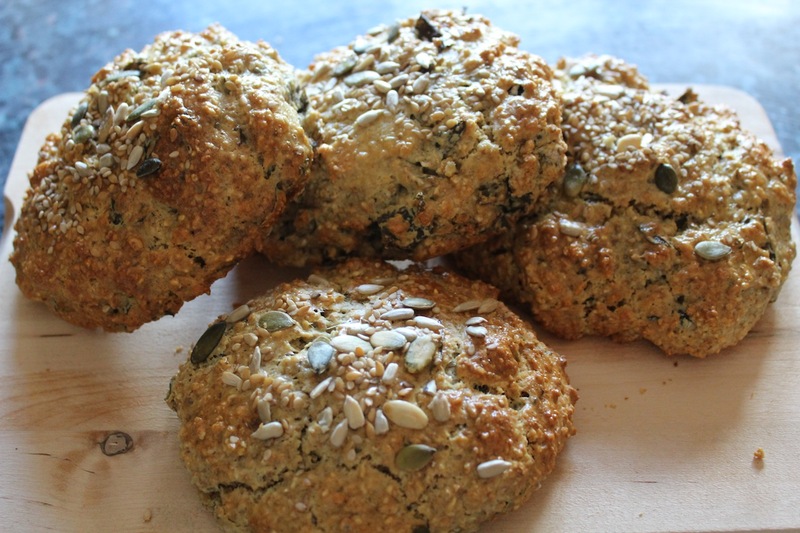 These brown oatmeal scones are just the thing you need to accompany your cup of tea, or even for a quick breakfast. 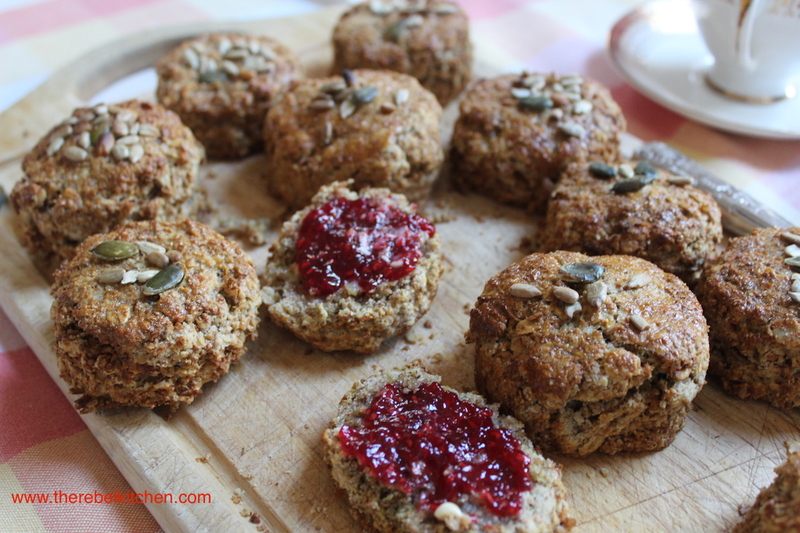 During my few years living in Dublin I have become well acquainted with the Avoca scones. They are amazing. They come with jam, butter and cream (enough said). 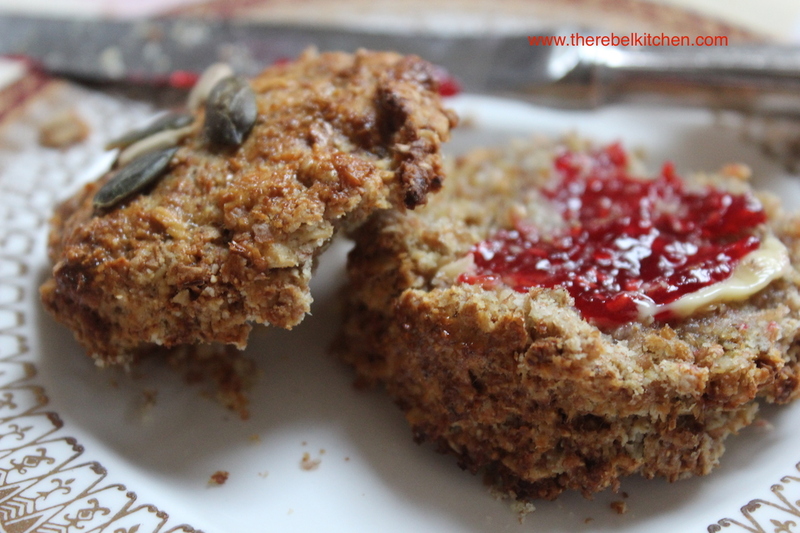 While I initially was all about their berry scones, I am now quite obsessed with the brown scones they make. 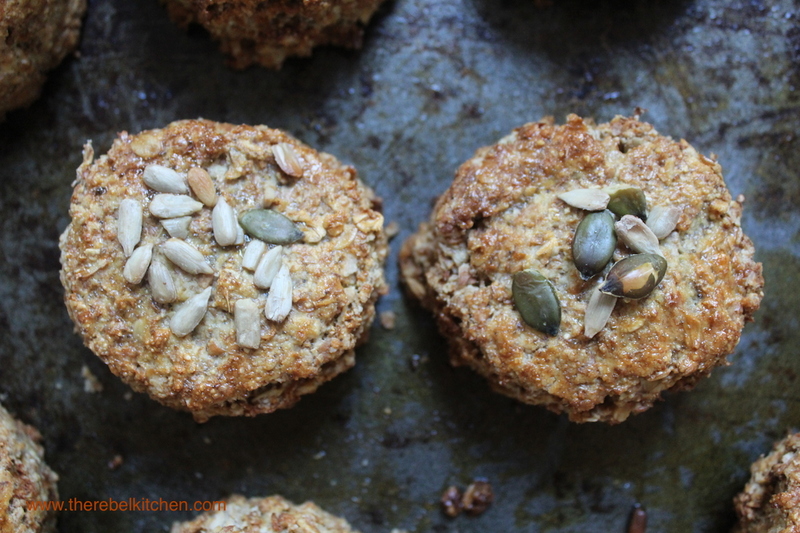 I found the recipe online and decided to give them a go but substitute some of the flour for oats. The result was pretty amazing, they are really nice and wholesome. 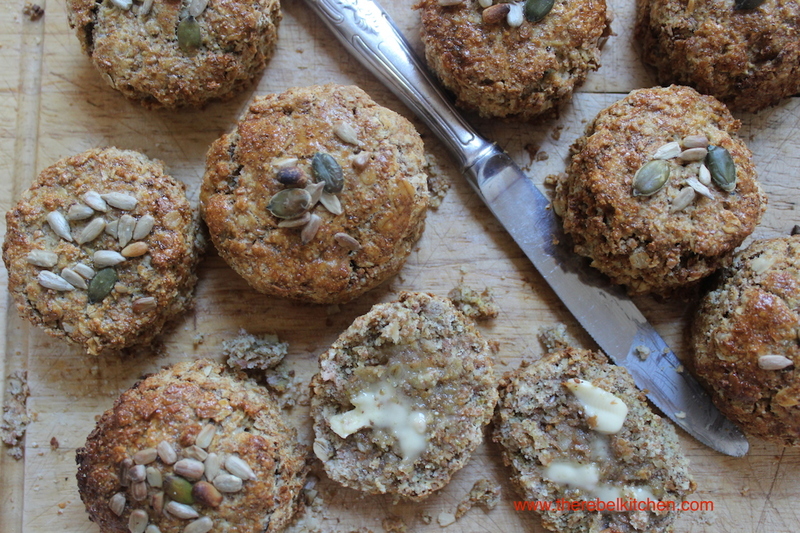 The outside is all biscuity and crunchy/crispy and the inside is all soft and wholesome. 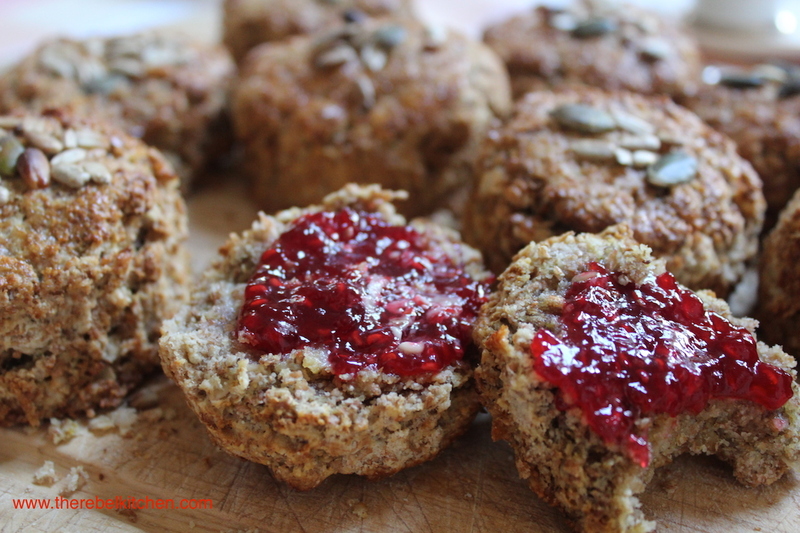 They take hardly any time at all to make, you feel like you’re eating something relatively healthy… Unless you load on the butter and raspberry jam like I do. 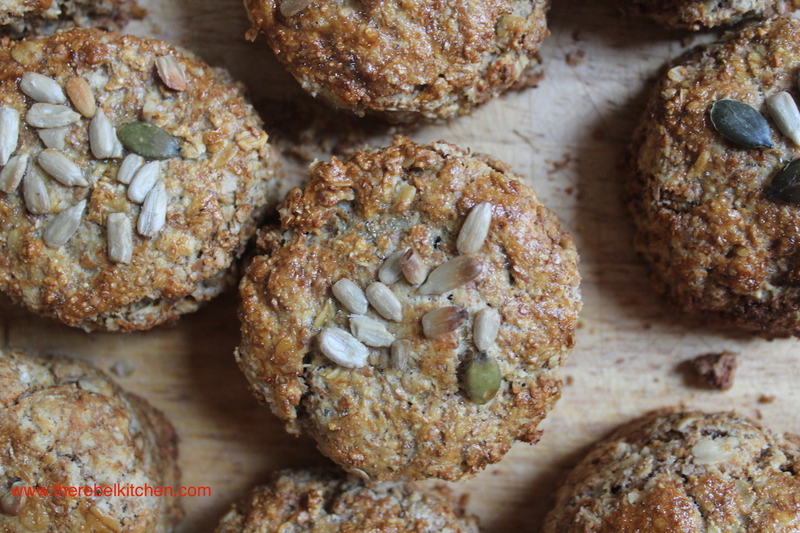 I think adding some nuts, seeds and dried fruit would be really nice too, but I thought if I added them in to these they would be a little too similar to my Fruity Seeded Spelt Scones. 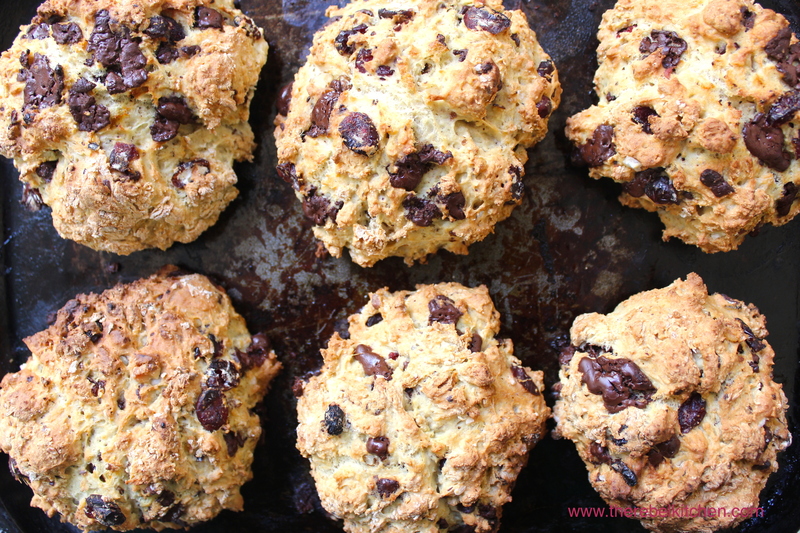 These are definitely worth giving a go, and adding to your baking repertoire. Now go forth and bake! 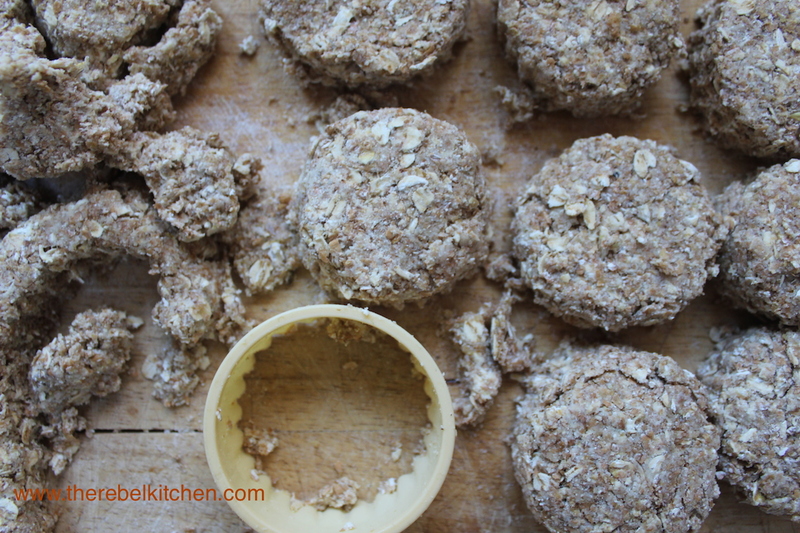 Pour the flour, oats and salt in a bowl and rub in the butter until the mixture resembles breadcrumbs. Running your hands under cold water for a minute first helps prevent the butter from melting. 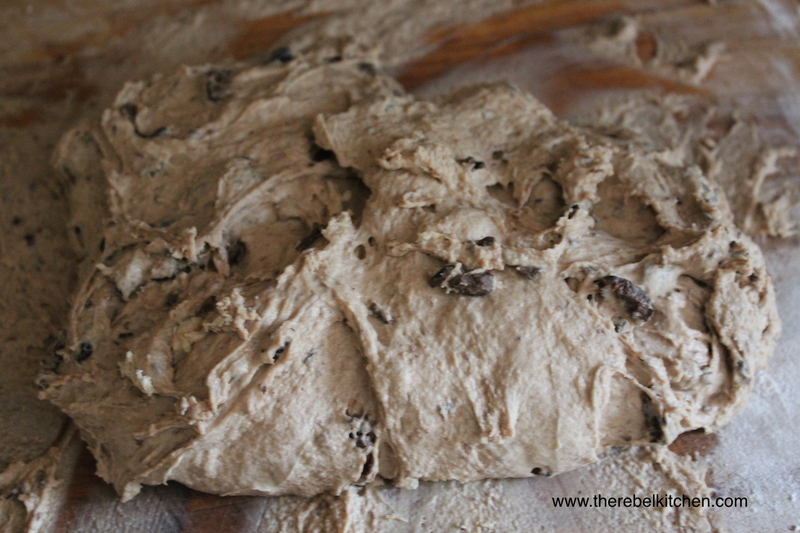 Turn the dough out onto a floured surface and pat down until it’s about 2 1/2 cm thick. Cut out into scones with a scones cutter or an upside down glass and transfer onto a buttered baking tray. Brush with the beaten egg and sprinkle the seeds on top. 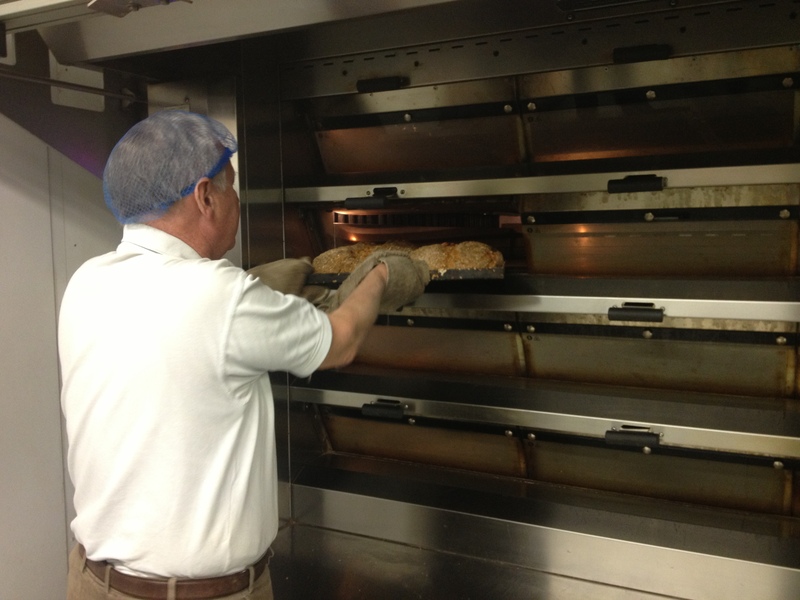 Pop into an oven preheated to 180C for 15-20 minutes (they took me 16 minutes). Enjoy hot from the oven with butter and jam. When cooled, store in a sealed container. They’re best eaten the day they’re made, but gorgeous a day or two after toasted and buttered. Spotted Dog is a classic traditional Irish comfort food. 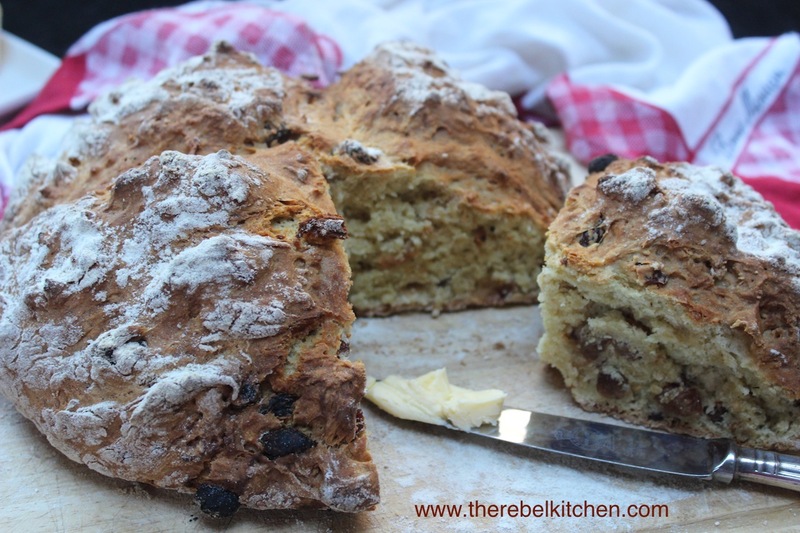 It’s essentially a slightly sweetened Irish soda bread with raisins running through it, hence the name, Spotted Dog. 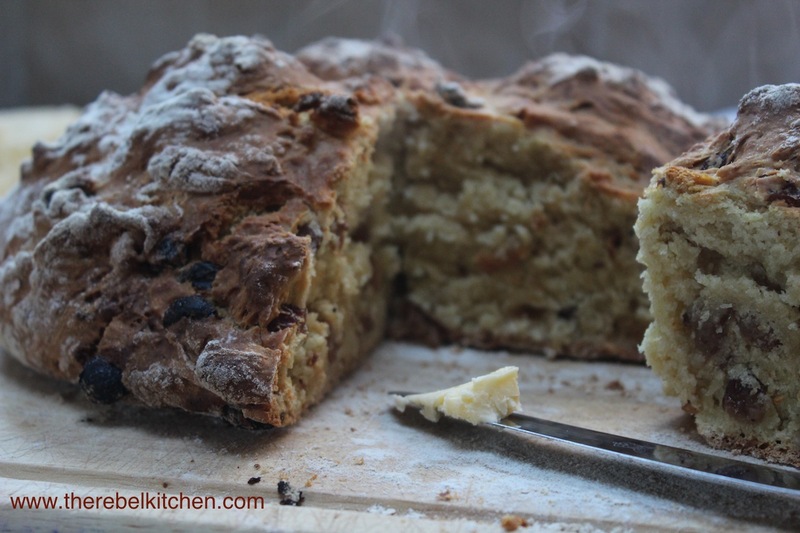 My Grandad used always make white soda bread, he was great at making it, and never used any measurements. 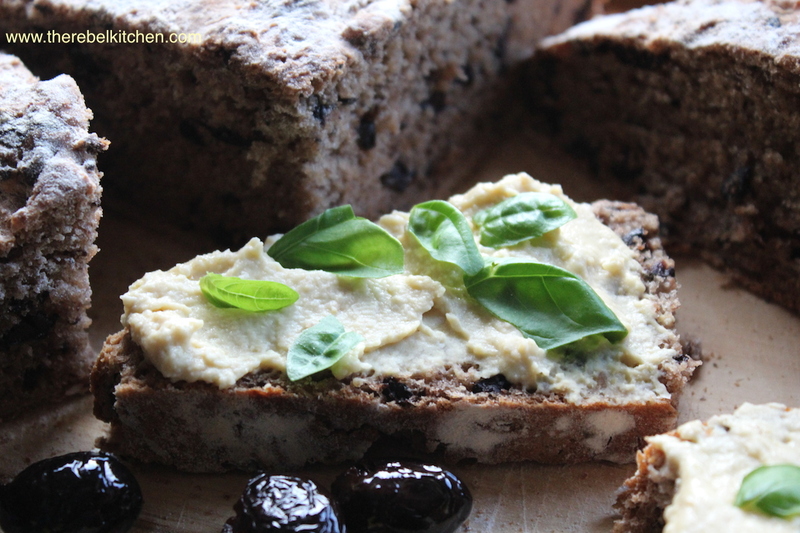 In our house, our soda breads are always brown, with the exception for this loaf which my Dad made once, donkey yonks ago. My poor pops travelled all the way down to Ballymaloe to pick me up a copy of Darina Allen’s “Ballymaloe Cookery Course” cookbook, which is incredible by the way, it is the perfect tome which contains pretty much any and every classic recipe you could ever need. Anyway while browsing through the cake and bread sections (always my first port of call), I came across Darina’s Spotted Dog recipe and decided to give it a go for old times sake. I followed the recipe exactly with the exception of soaking my sultanas in whisky and orange juice the night before for a bit of extra juiciness. This is so incredibly easy to make, and so satisfying. 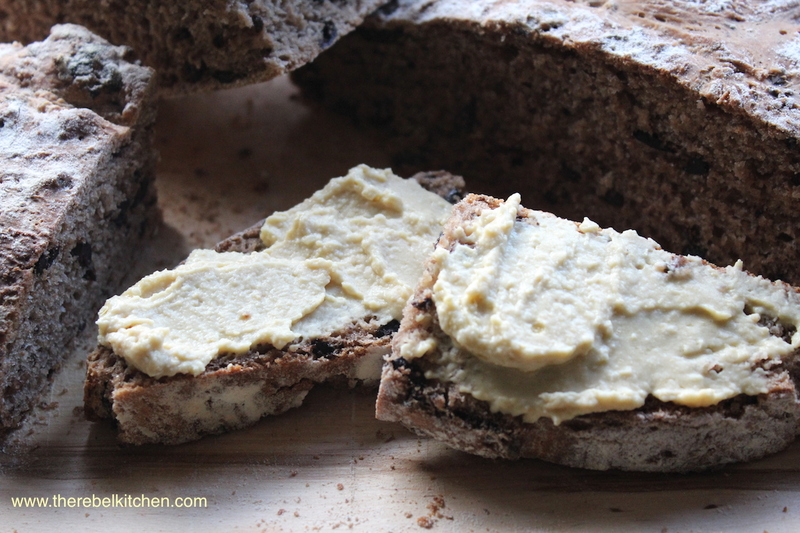 My favourite comfort foods come in bread form, hot from the oven and slathered with butter. 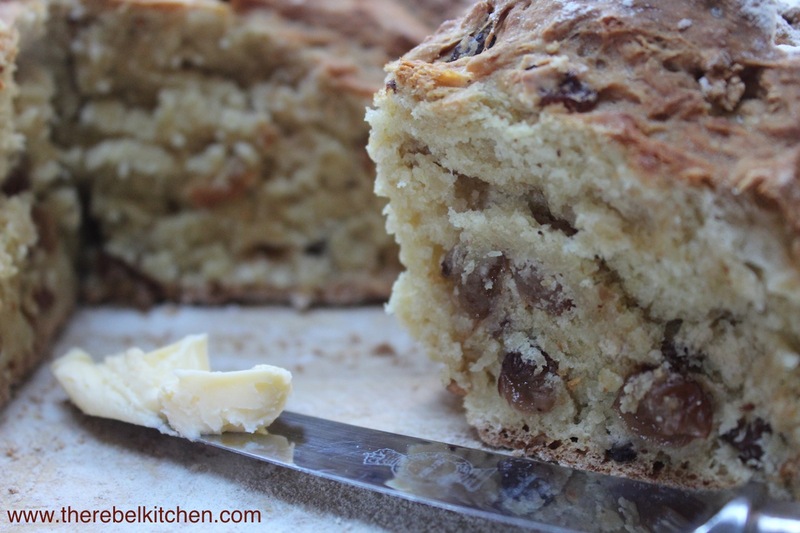 This is delicious, really soft on the inside with a slight sweetness from the sugar and sultanas, but with a lovely crust on the outside. This is best with butter and jam, but apparently also very nice with cheese. It is also gorgeous toasted with butter when a day or two old. I soaked my sultanas in whisky and orange juice the night before which plumped them out nicely, and gave them a lovely juiciness. 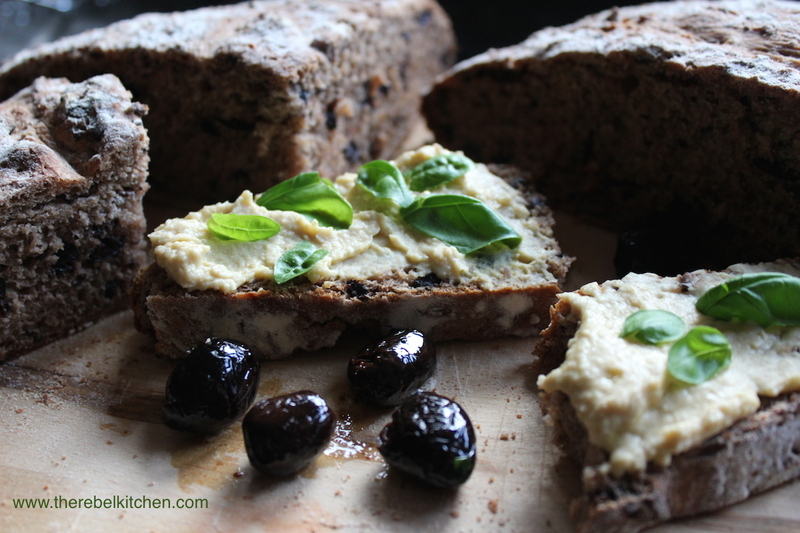 This is an optional step, but don’t worry the bread doesn’t taste of whisky, you can barely taste it in the sultanas, but it’s a nice subtle addition. 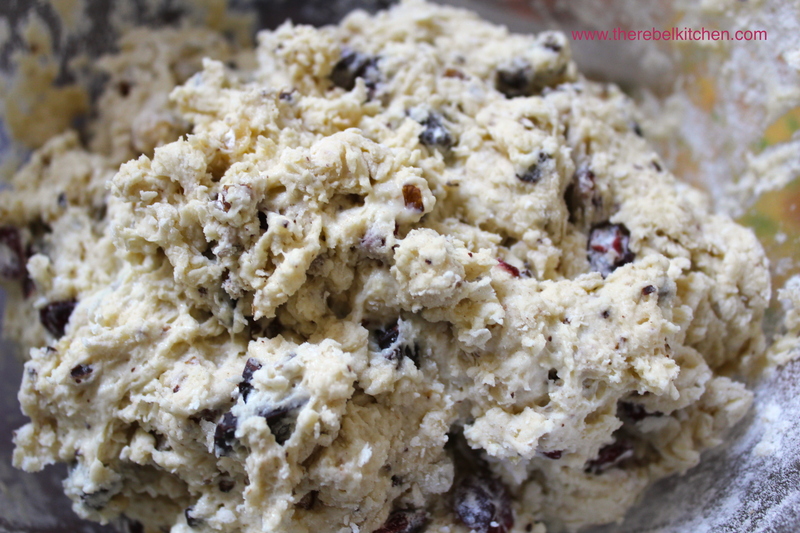 Sieve the flour and bread soda into a large mixing bowl and add the salt, sugar and fruit. Mix together by lifting the flour and fruit up in your hands and letting them fall back into the bowl through your fingers (this apparently adds more air, making the bread lighter). Crack the egg into a measuring jug and then add the buttermilk until you reach 400ml (the egg is part of the liquid measurement), so this could be a little more or less than 350ml of buttermilk. 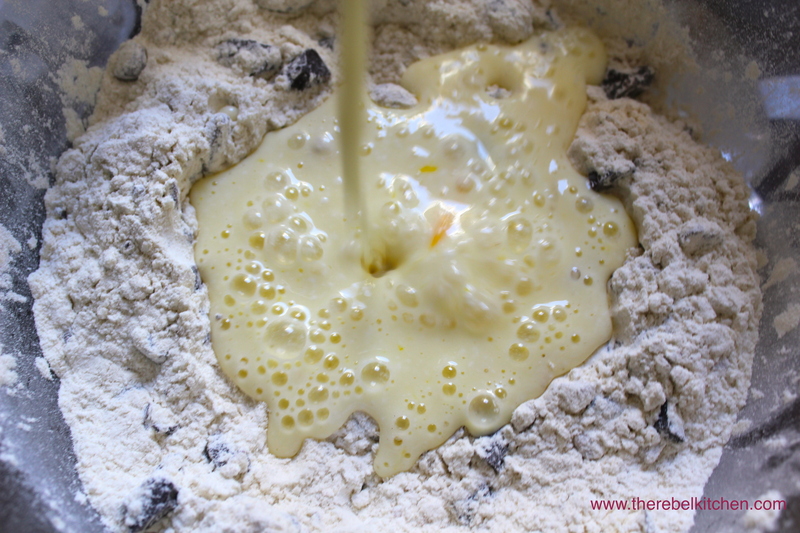 Make a well in the middle of the bowl of flour and pour in the liquids. 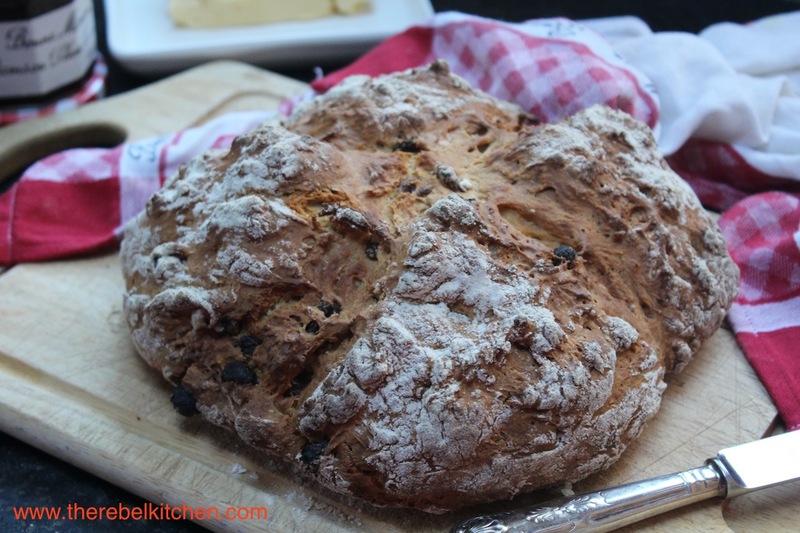 Mix together using your fingers drawing the flour from the outside of the bowl into the centre until it’s fully combined (the key to a great soda bread is not to over mix the dough). 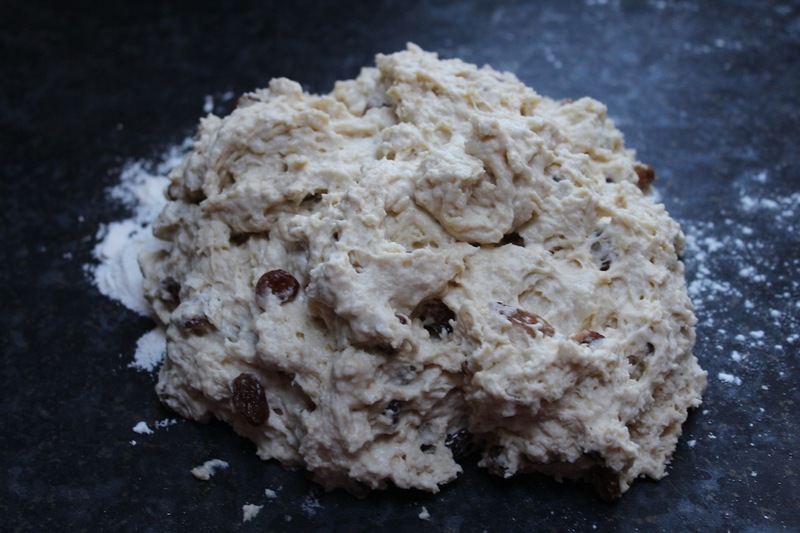 Pop the dough out on to a floured surface, wash your hands and with flours fingers, roll lightly for a few seconds, just to tidy the edges together. 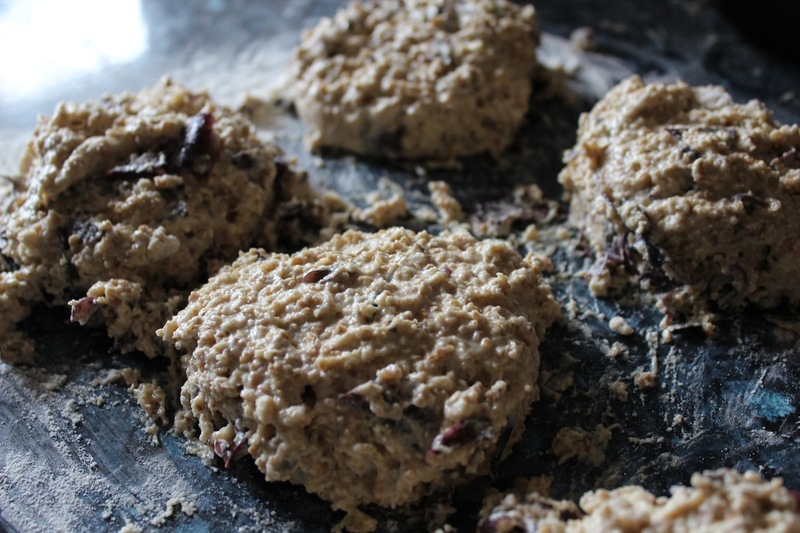 Put the round of dough onto a floured baking tray and pat lightly on top to even it out. Take a sharp knife and cut a deep cross on it, letting the cuts go over the edge. Prick each angle with a knife (according to Irish folklore this lets the fairies out… long story). Pop into a hot oven preheated to 220C for 10 minutes, then decrease the heat to 200C and bake for a further 35 minutes or until cooked. It is cooked when if tapped on the base it sounds hollow. 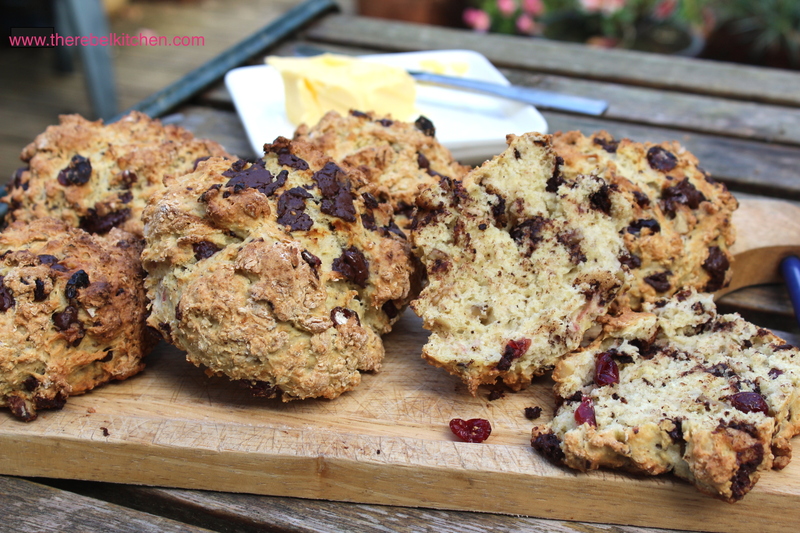 Serve warm with lashings of butter and a blob of jam… Perfect. 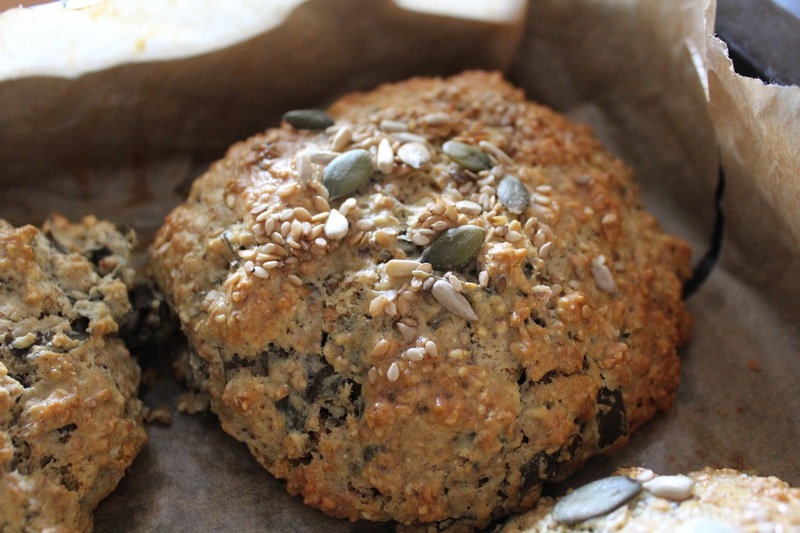 This recipe came about as a result of a craving for brown soda scones and a bag of dried dillisk (dried Irish seasweed) in my press waiting to be used up! 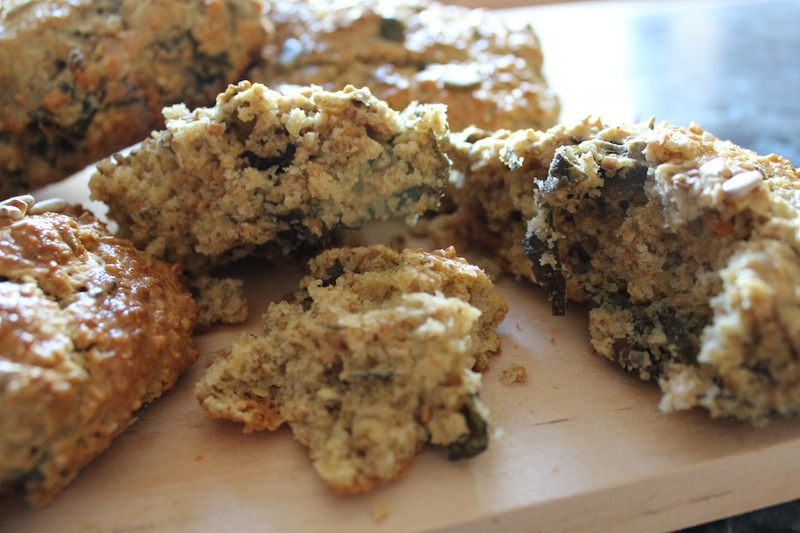 I had totally forgot about it until I recently read that John and Sally McKenna had released a book about cooking with seaweed (or sea vegetables as the more posh folk would say), and it reminded me that I had a bag to us up, so in it went to my last batch of brown soda scones. 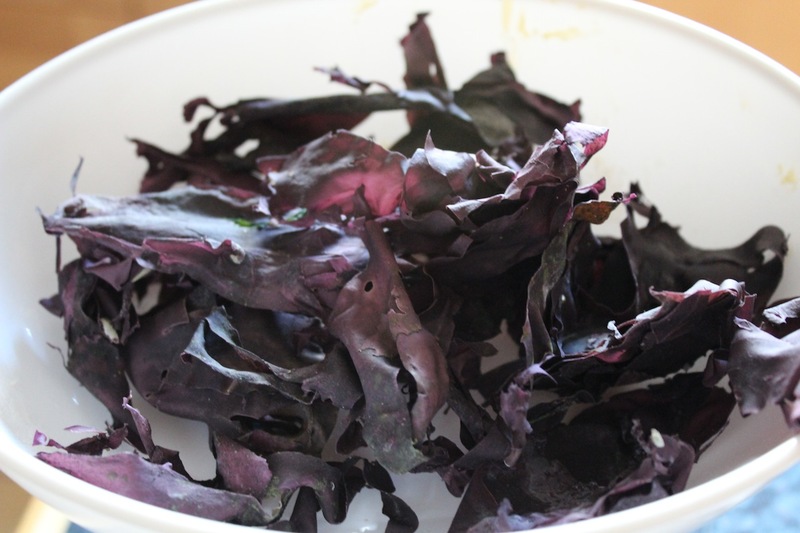 Seaweed of all different varieties adorn the Irish shores, and yet Irish people don’t eat it nearly as much as you would think despite it being such a nutritous food. However, seaweeds are becoming very fashionable again and I’m starting to sea a whole number of varieties on menus again. Seaweed has been used as a beauty treatment in Ireland for centuries, and many Irish cosmetic companies use it as their superstar ingredient, Voya being by far the best Irish luxury cosmetic company, harnessing seaweeds hydrating properties. So here’s to using what we have in plenty and finding fun and unusual ways of cooking and eating it. 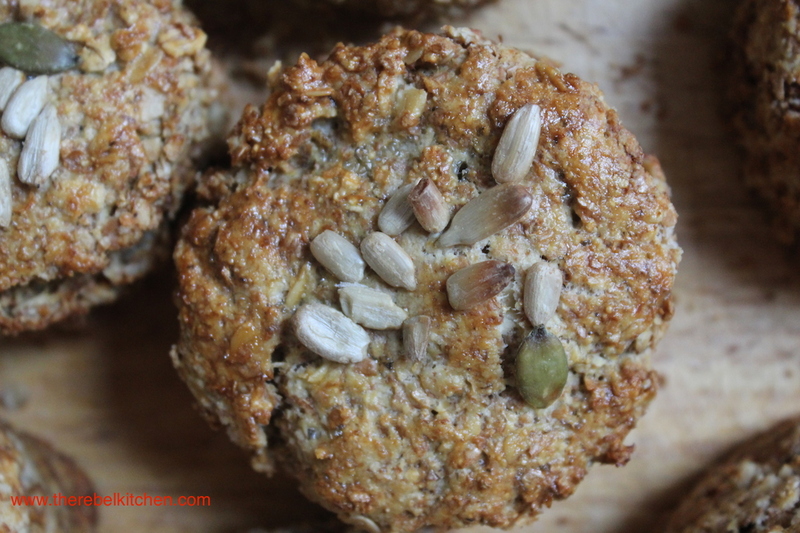 I also have to mention Macroom Oats and Flours as I used them in this recipe, and I use their grains all the time. 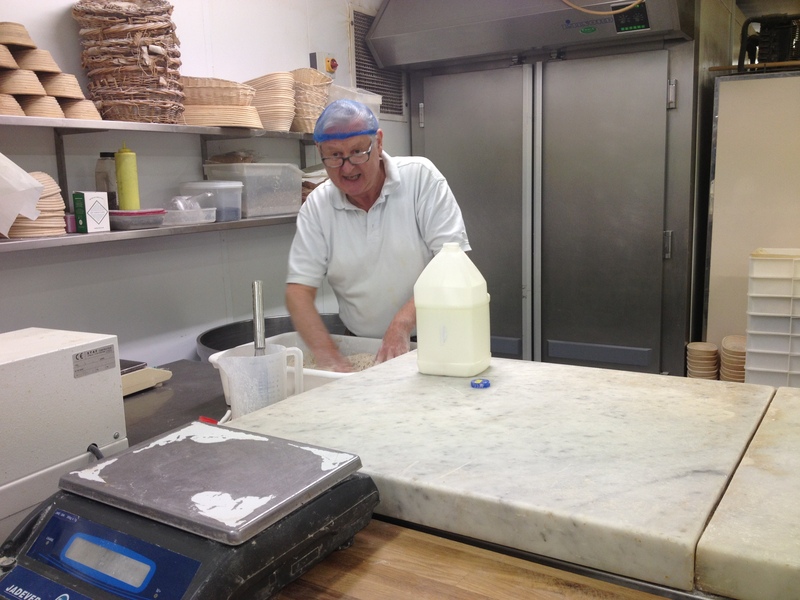 The Macroom mill is based in Cork and is run by a man called Donal Creedon. I haven’t met him, but he’s known in Cork as being a true artisan who has managed to make oats and flour a luxury artisan product. 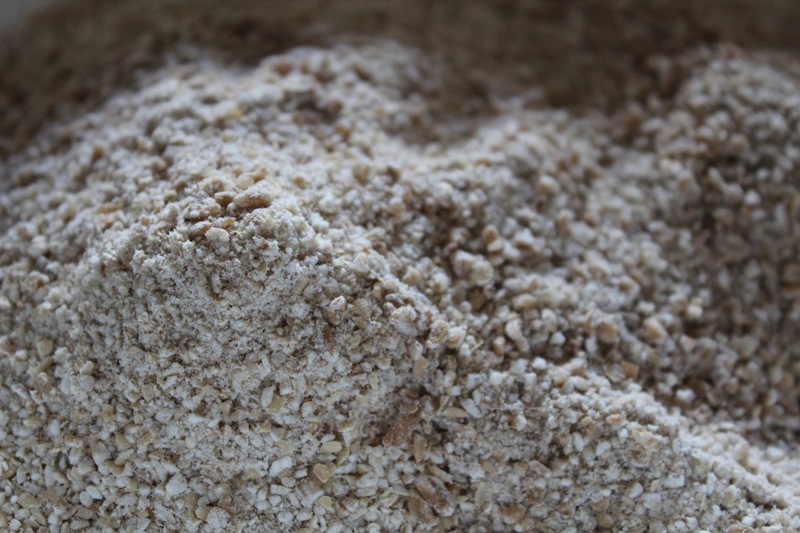 His oats are stoneground and lightly toasted and make the most delicious, luxurious porridge in the world. 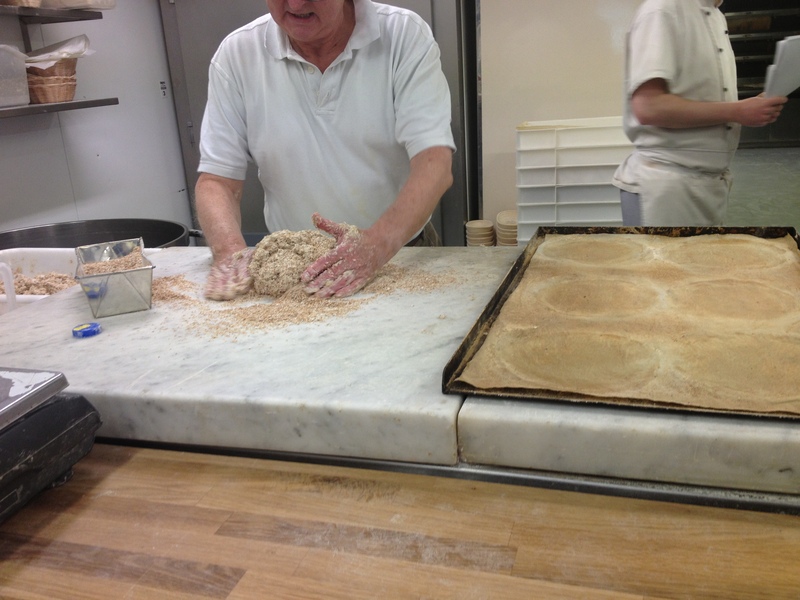 His wholemeal flour is ground in the same way and gives the most lovely slightly nutty texture to breads. I recommend seeking the products out, they’re available in most good independent delis and health shops around the country, but often times if they’re not you can just enquire at your local speciality store and they’re usually quite open to ordering unavailable products in. 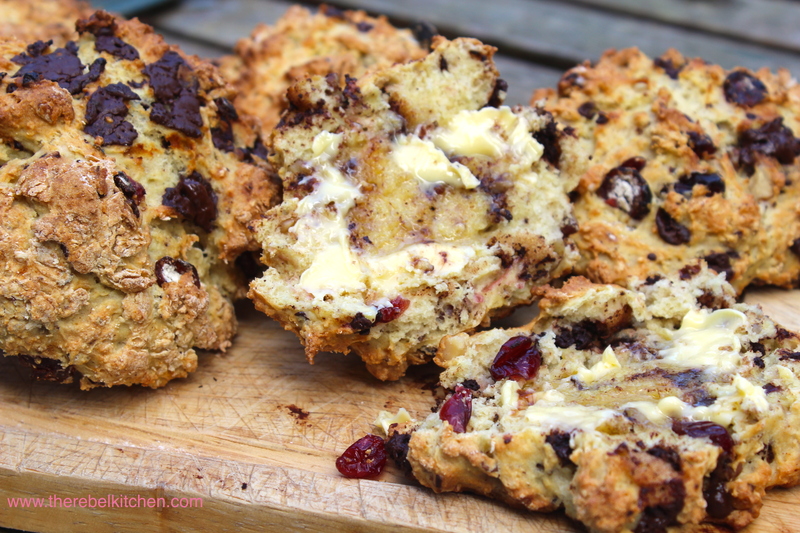 These scones are savoury using the dillisk which has a lovely very slightly salty taste and beautiful texture, and a little parmasan cheese to give the scones a subtle kick. When they are fresh out of the oven the taste of the dilisk is stronger (the heat and moisture rehydrates the dried dillisk), however when cooled the taste is extremely subtle. 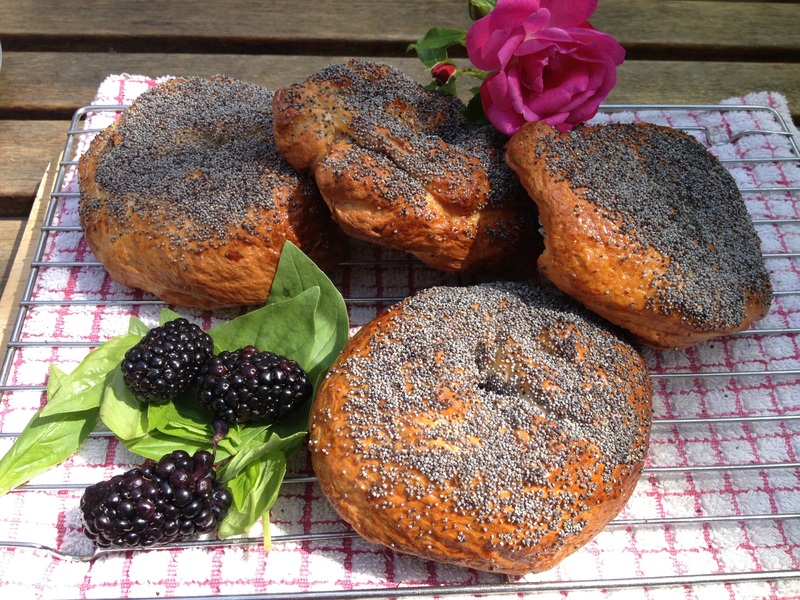 However, these would be perfectly delicious without the dillisk or cheese, and the recipe can be used in exactly the same way and would be gorgeous topped with a little jam and cream. 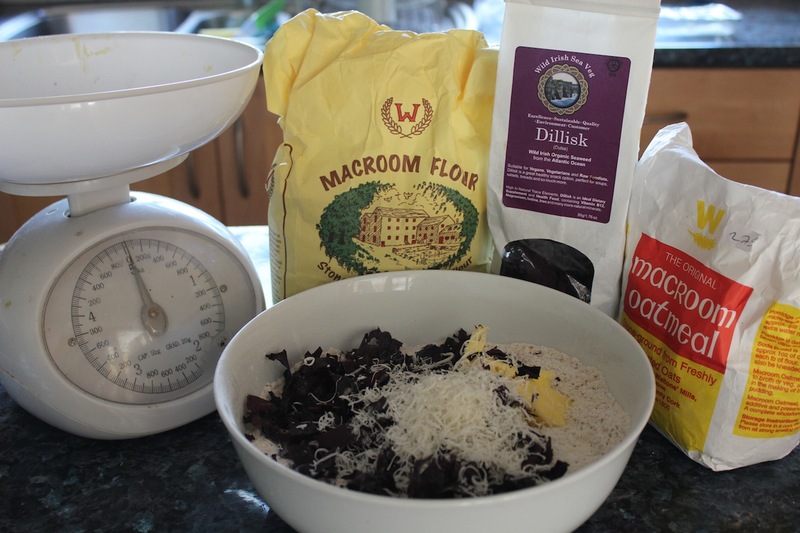 Preheat the oven to 220C and mix the flours, bread soda, salt, cheese and dillisk into a bowl. 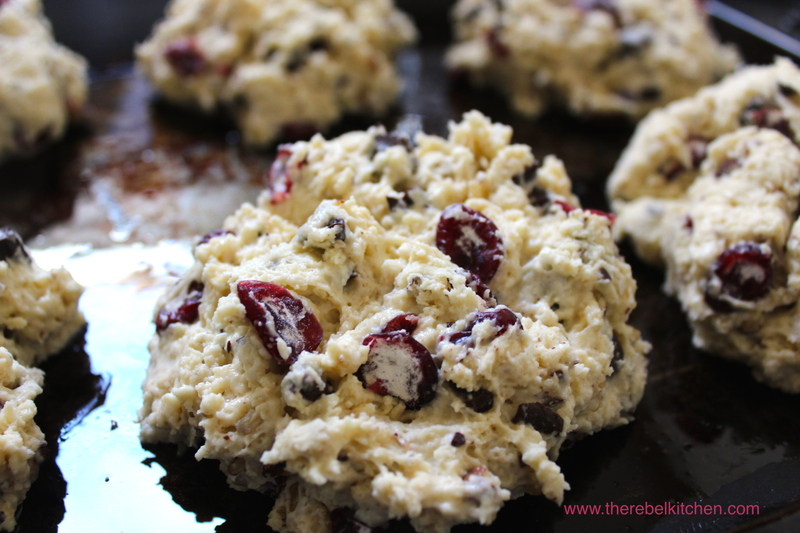 Rub the butter into the flour mixture until combined in. 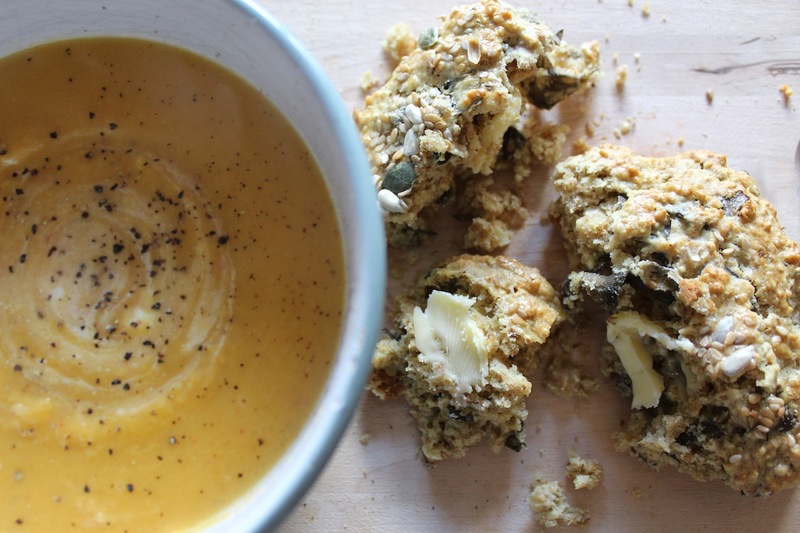 Mix together one of the eggs and the buttermilk and milk into the flour with your hand until the mixture is combined. Turn out onto a floured surface. This is a loose, wet mix, so spoon some mixture out trying to keep height of about 2-3cm height. 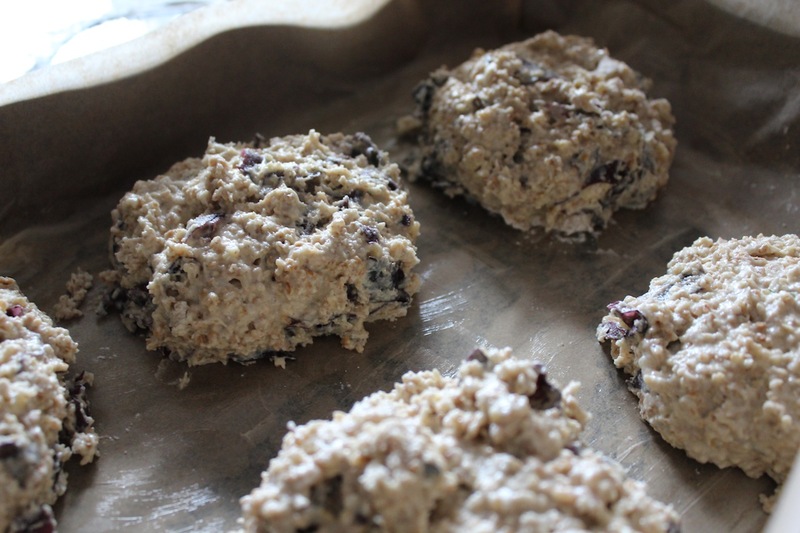 (If you prefer a more structured scone that is less loose, then use 100ml less buttermilk, then you should be able to turn out your dough and use a scone cutter). 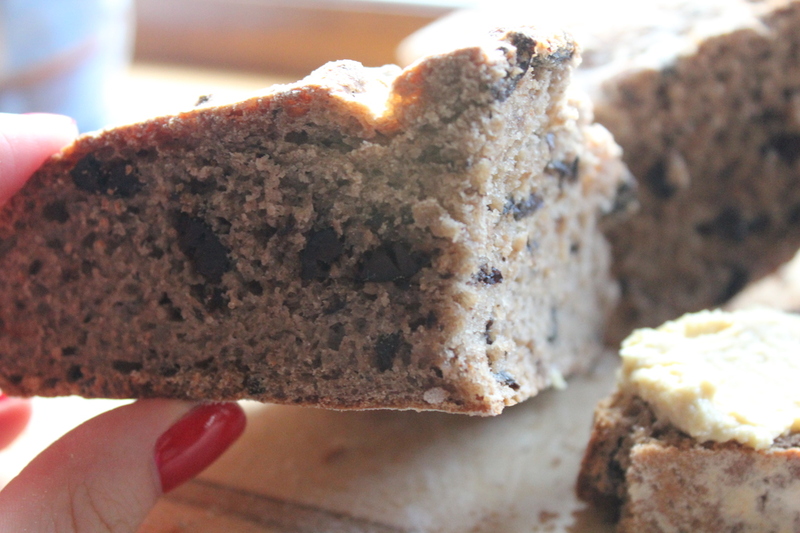 There is a beautiful moist softness to the recipe above though, so I recommend doing it my way. 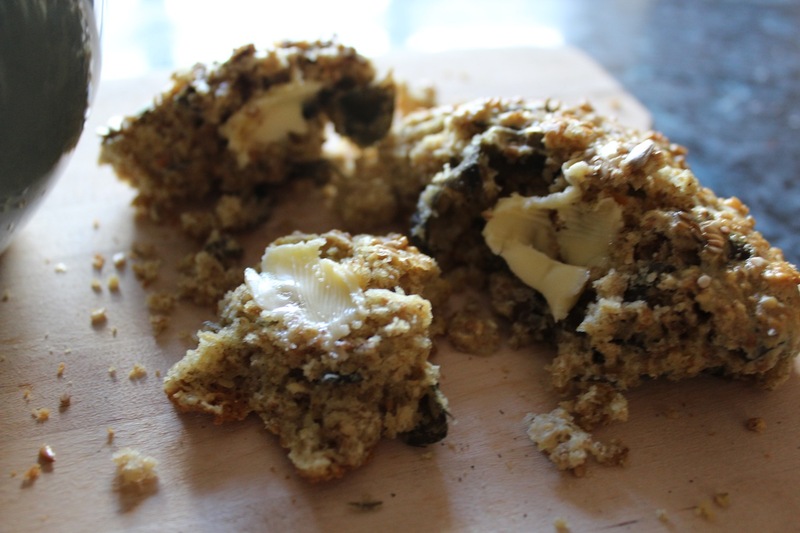 Pop the scones into a tin on top of a greased piece of baking paper, you can use a little of the second beaten egg to wash the top of the scones and sprinkle the seeds on top. Bake for about 10-15 minutes, they are done when they are golden on top. Let cool completely on a wire wrack before serving. Every now and then I get a notion to make something I’ve never made before. I think I must have had bagels on my mind after my trip to New York last month, bagels with creamy cheese, smoked salmon, tomatoes and capers for breakfast was a particular treat on my last morning in NYC. However, back in Ireland, you just can’t get really good bagels in many places, which is probably why I was never too bothered by them before. The only ones available in most supermarkets are a bready excuse for a bagel that would make most New Yorkers shudder. However my recent trip to New York wooed me and since then I have had them on the brain. 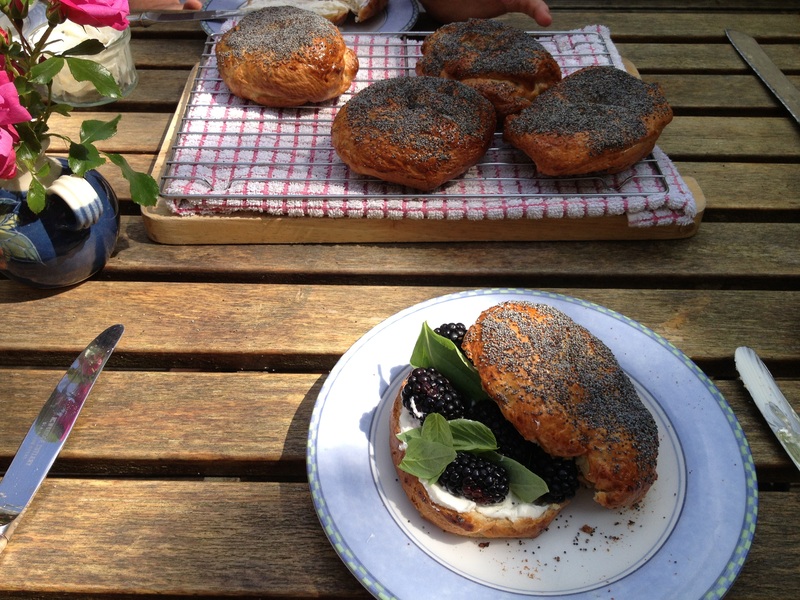 With the weather being so amazing at the moment (to non-Irish readers, this means actually being able to sunbath and swim in July… a rare occurrence) I decided to make an outdoors brunch for my parents the last time I was home. There is nothing nicer than taking the time to have a nice breakfast, especially when it can be enjoyed outside in the sun. 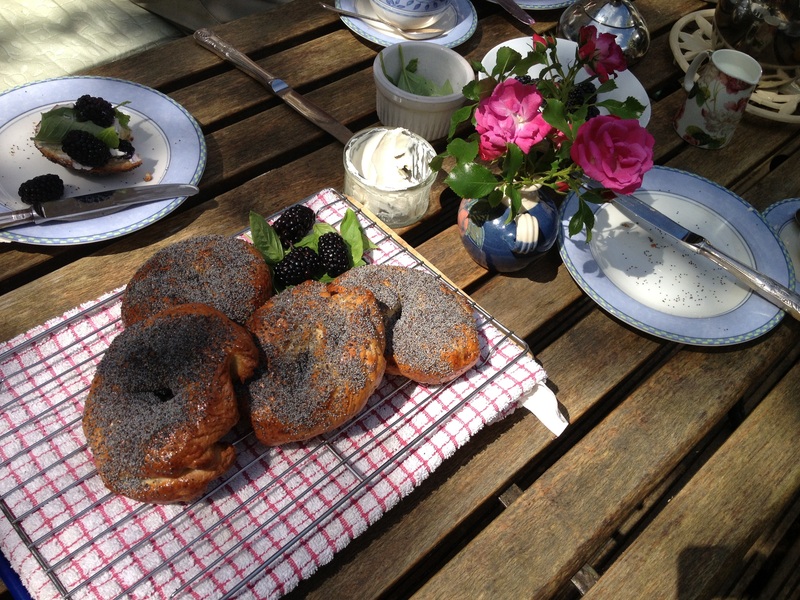 Coffee and Tea, fresh bagels, fruit and the Sunday newspaper al fresco… It’s hard not to relax in such a situation. 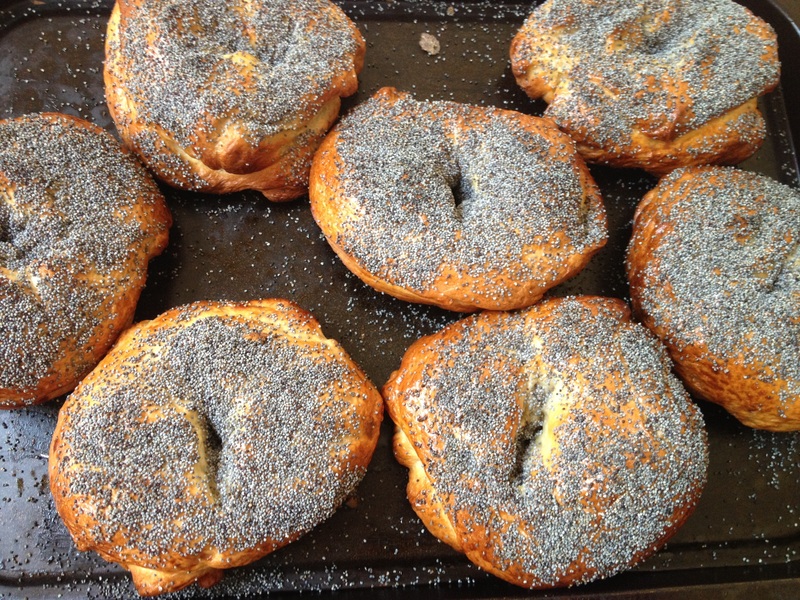 I make bread a lot at home, so I figured that bagels couldn’t be much harder to make. 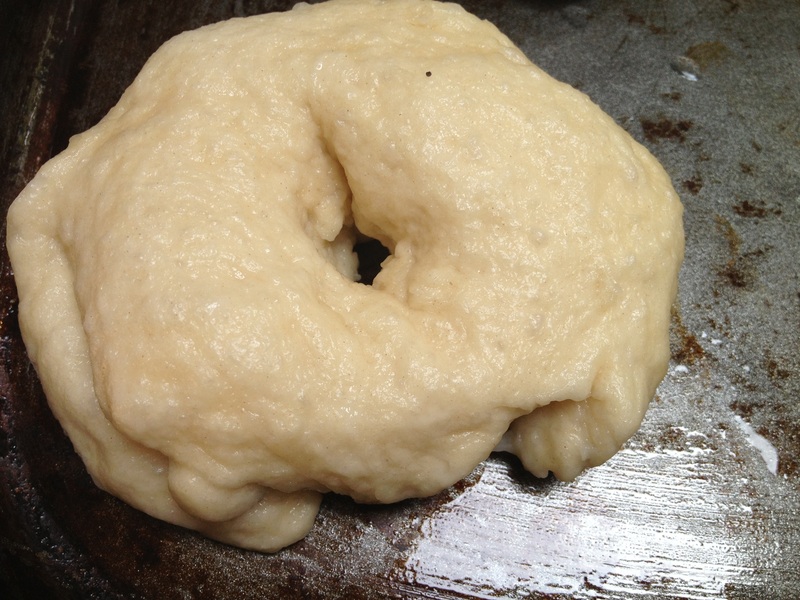 They actually were pretty easy to make, and a lot of fun too, the process of boiling them into a spongy ring before baking them was pretty cool. My only advice would be to double the quantities below as they make seven, and they will all be eaten straight away if your family is like mine. 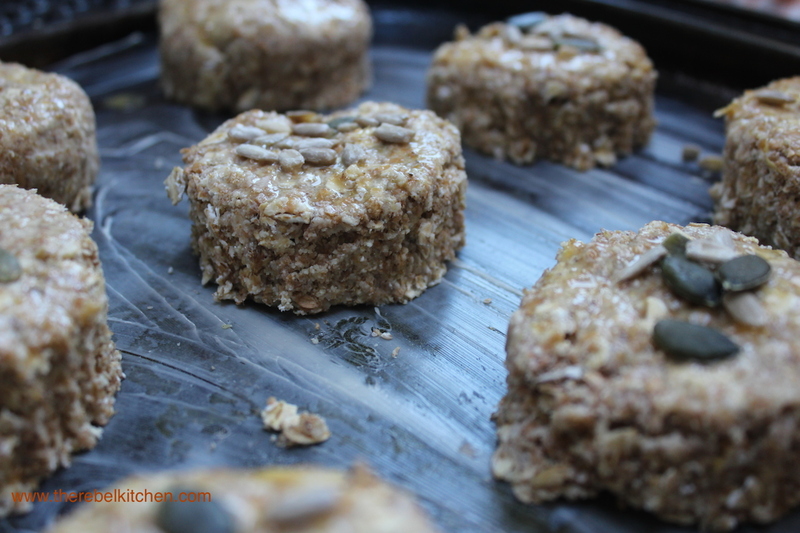 It’s worth making a second batch, slicing and freezing them for a quick morning breakfast as if you go to the effort of making these, you should really get more than one morning out of them. These were my favourite bake in months, so I hope you enjoy them as much as I did. 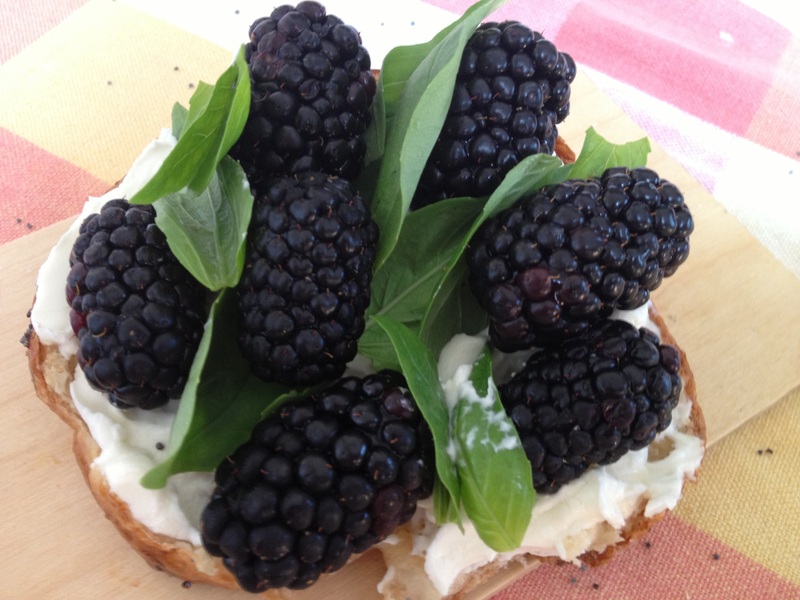 I thought blackberry and basil with thick cream cheese would be an unusual but delicious topping, and it really worked out great. 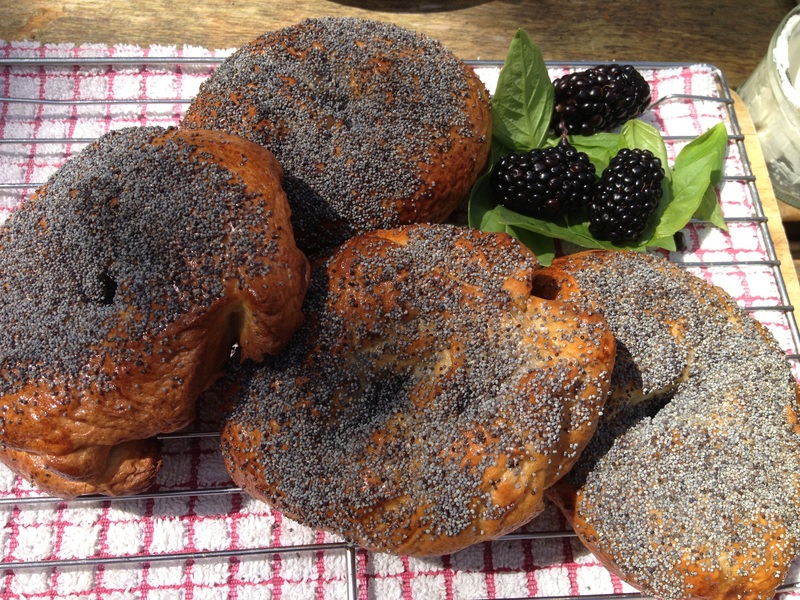 If you have any other unusual bagel toppings though, I would love to hear them as I plan on making them again soon! Sift together the flour, salt and mix in the yeast in a large mixing bowl. 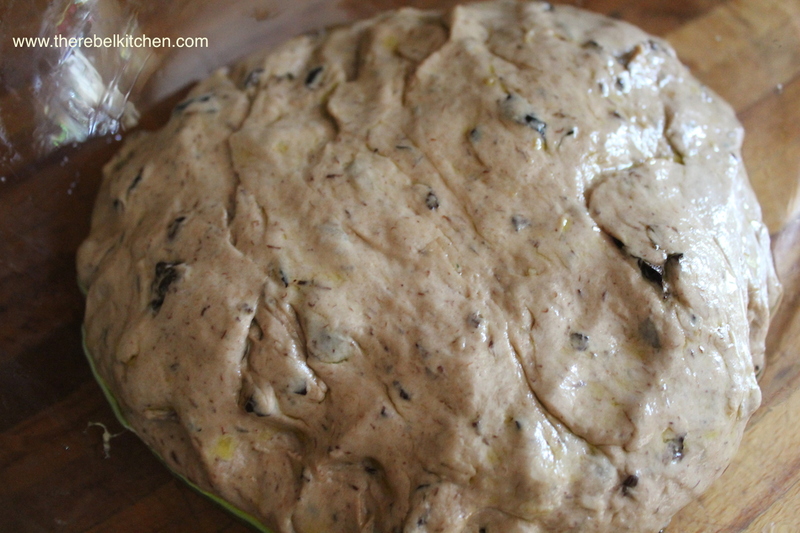 Place the dough in a lightly oiled bowl, toss it around in it to coat lightly in oil, cover with cling film and let to prove for 1 to 3 hours. I only had an hour as I was under time pressure, but it tasted fantastic. However the usual rule is the longer you prove the better it tastes. 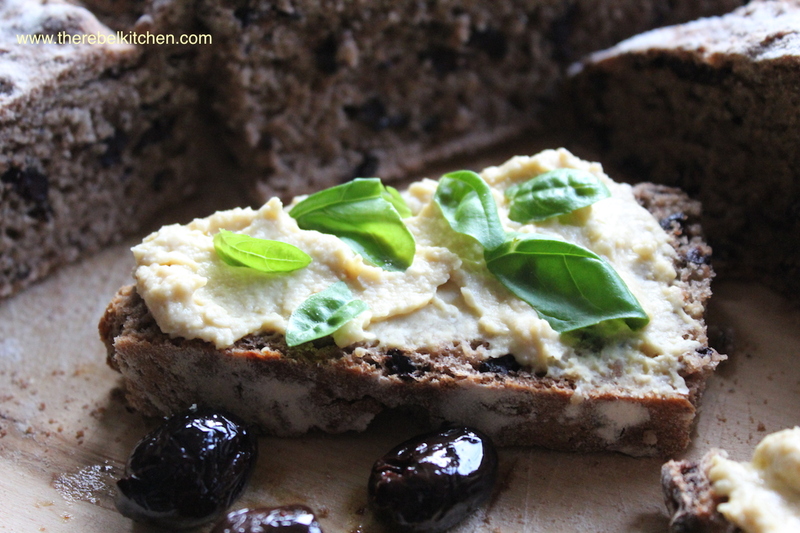 Also be careful not to oil the bowl and bread too much as it will be very difficult to shape afterwards. 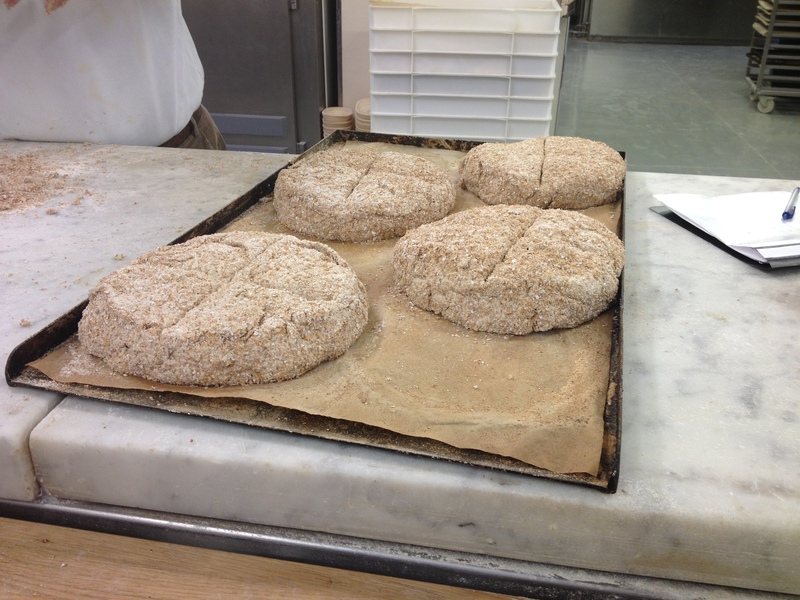 After proving knock back the bread and portion into 7 equally sized piece. Shape into a ball, stick you finger through the centre creating a ring. Set aside to prove for 20 more minutes. Bring a large pot of water to the boil, add the 3 tbsp treacle or honey and then let it come down to a simmer. 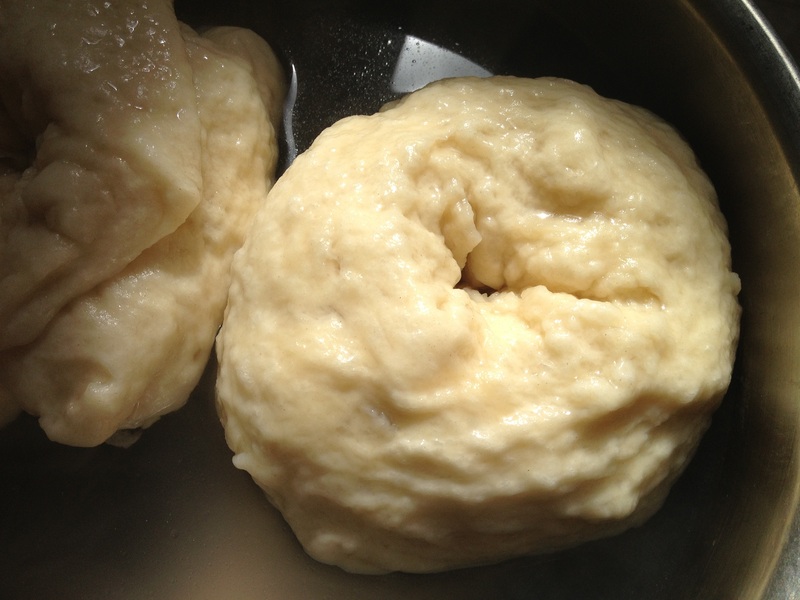 Pop in two or three bagels at a time (depending on size) for 2 minutes and then flip them onto their other sides and boil for two more minutes. Then take them out and let them drain on a wire rack. Continue this step for all your bagels. 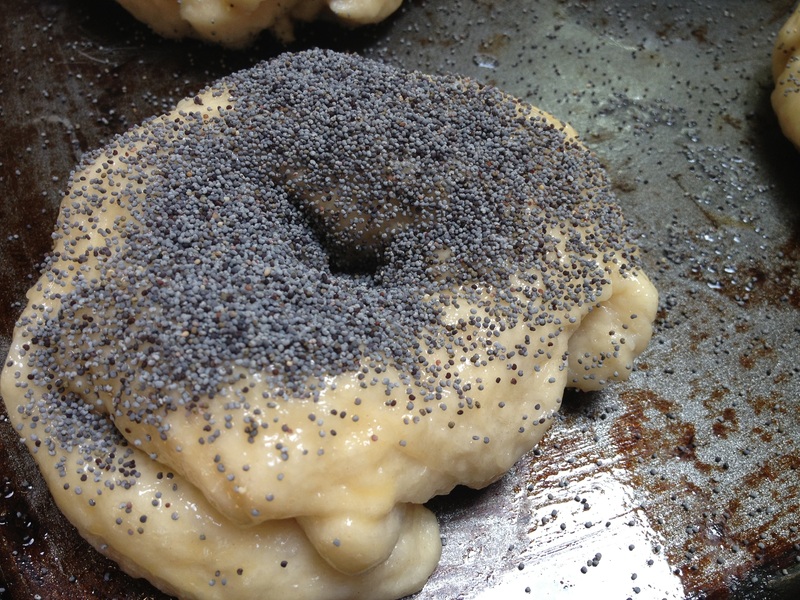 Coat the top of the bagel in egg wash and sprinkle generously with poppy seeds. 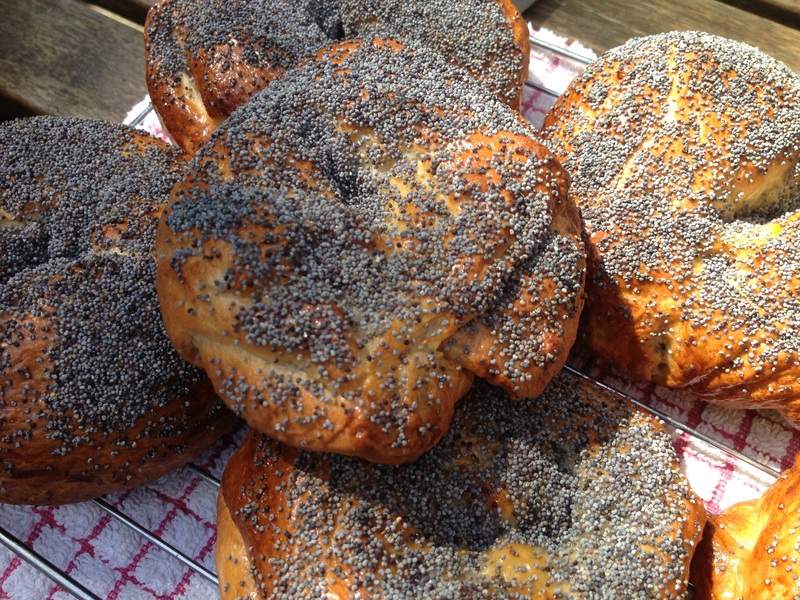 Place all the bagels onto a well oiled tin, spaced far apart (I used two trays for my 7 bagels). 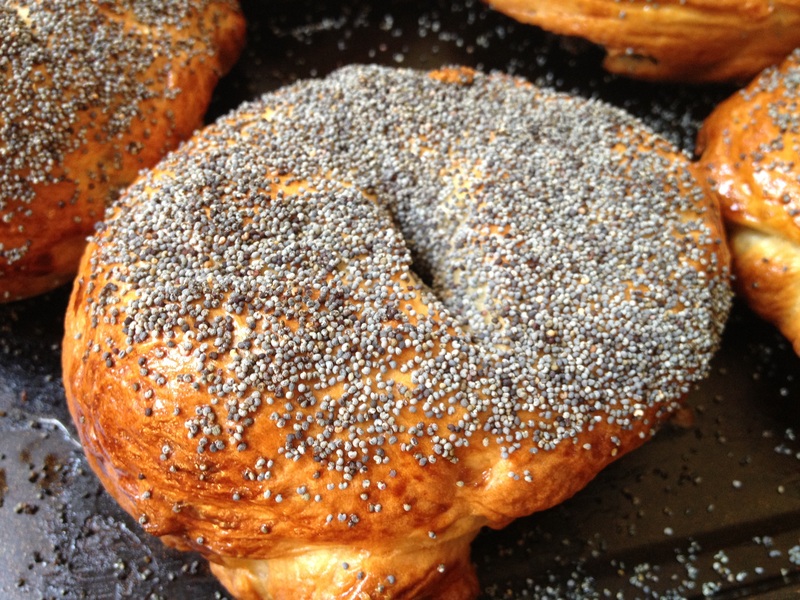 Put into an oven at 220C for 15 minutes, then take them out and flip them over to cook the bases, I egg washed and sprinkled my bases with poppy seeds again, and then pop back into the oven for 10 more minutes. Let cool on a wire rack for a few minutes before serving. 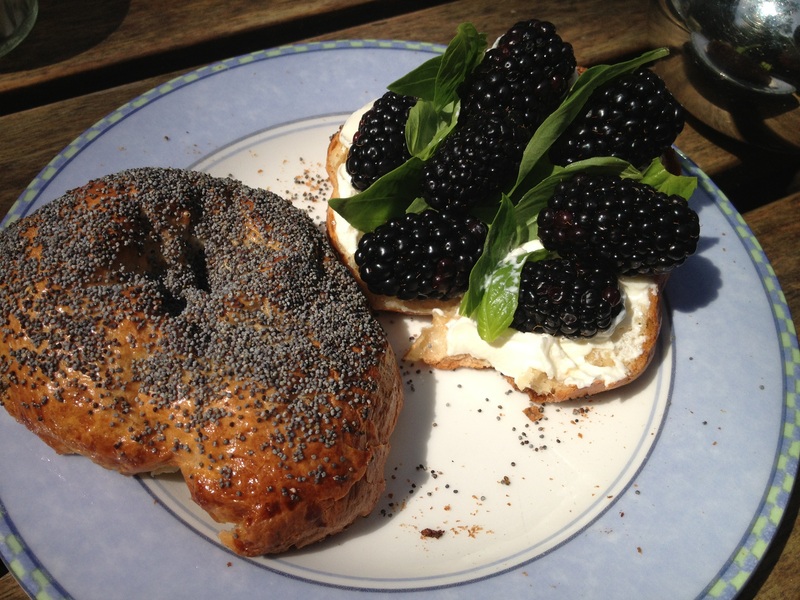 Slice in half and smear the bagel with cream cheese, press in some black berries and basil leaves and serve immediately while still warm. Last night was my last night of the Arbutus Bread Course 😦 And I have to say despite having to travel down to Cork from Dublin late Tuesday night every week and getting the 5am bus back to Dublin every Thursday morning, I am quite sorry to see it end. In fact the 5am bus ride was almost enjoyable when it was accompanied with a little flask of hot tea and a some of the fresh bread (generously buttered and slathered with jam) that I had made the night before at Arbutus! 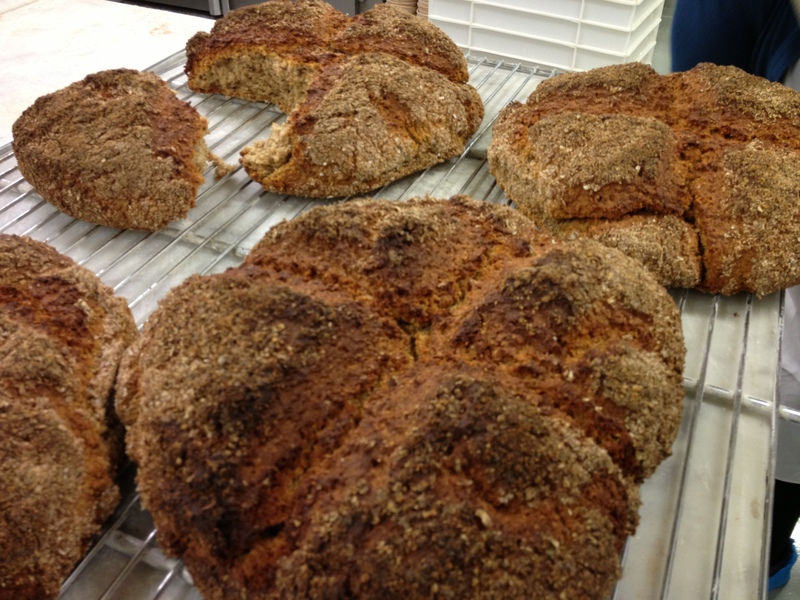 This week was great as two of the breads we did, Latvian Rye and Brown Soda, would be the breads I would eat the most on a day to day basis. The Latvian Rye would be the bread I would buy from Arbutus the most, and luckily we had the pleasure of learning to make it from Ivers, the baker responsible for this loaf being on the Arbutus shelves. 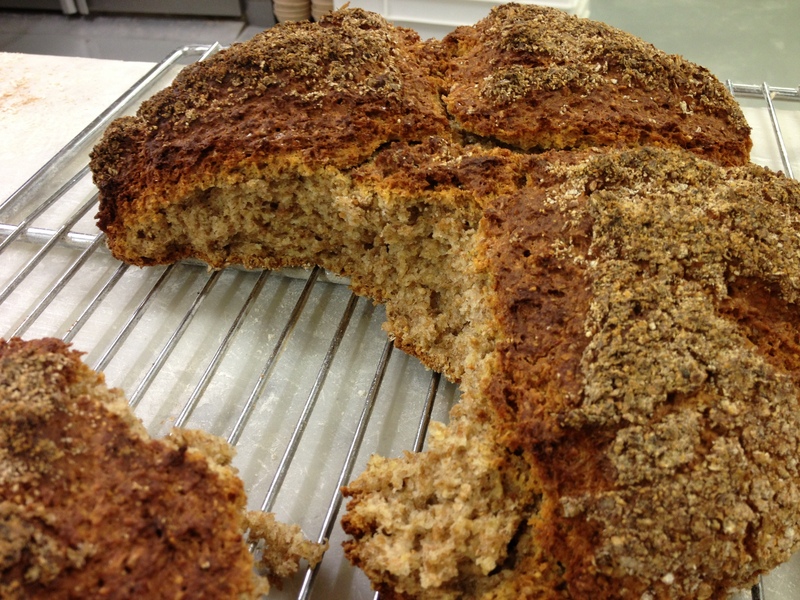 He also refers to it as sweet and sour rye bread, it has a really distinct flavour from the sugar, salt, and carraway seeds that they add to the mix. It is delicious. 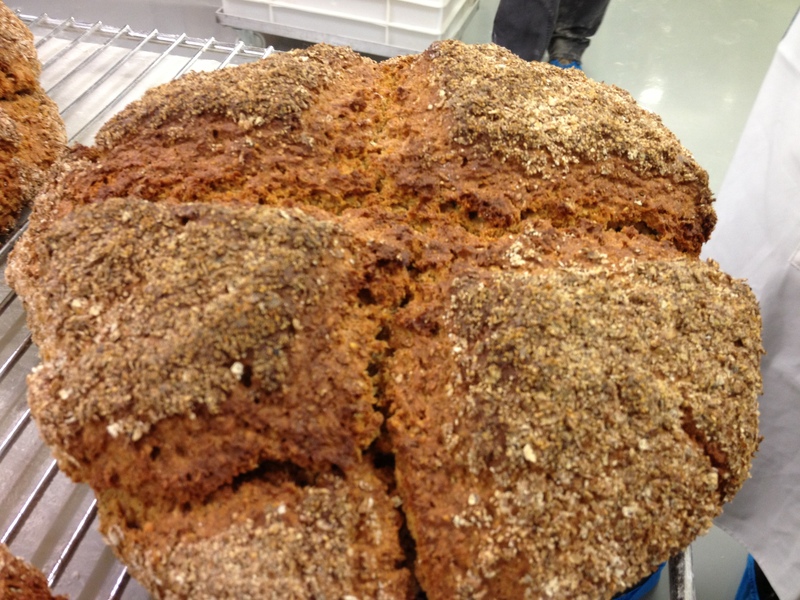 The second bread we did was the classic Irish Brown Soda Bread. 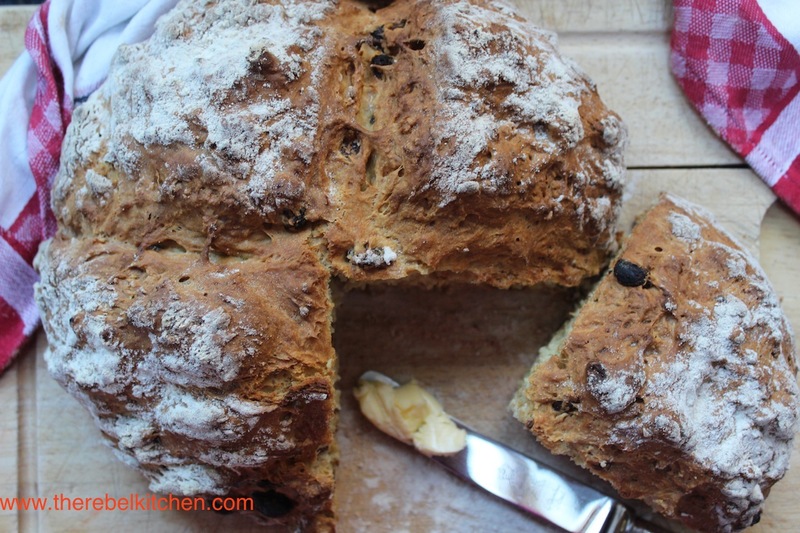 This is probably the quickest and easiest bread anyone can make, and every Irish family seems to have their own variation. However, the Arbutus brown was so good I will have to ditch my usual recipe and make this one going forward. It’s so soft and flavoursome, with the most amazing thick crust on the outside. 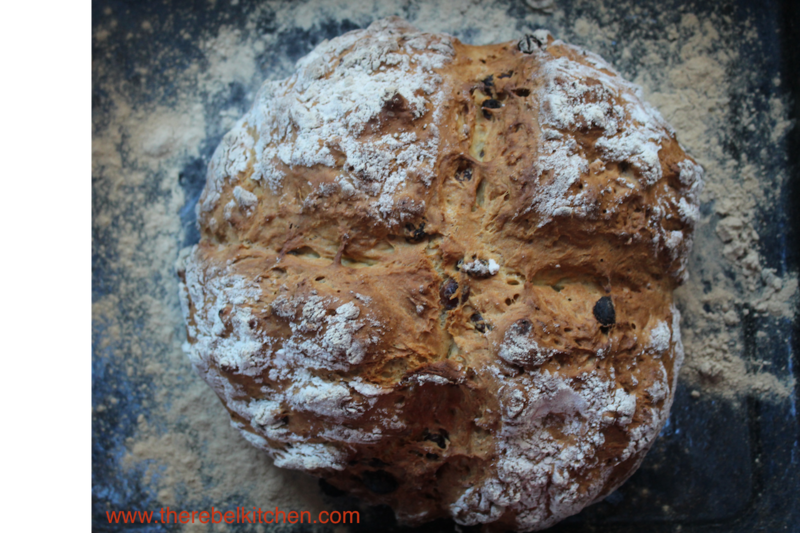 What is even better is that there is no kneading, proving and knocking back involved so if you’re new to bread making, this is the recipe for you. 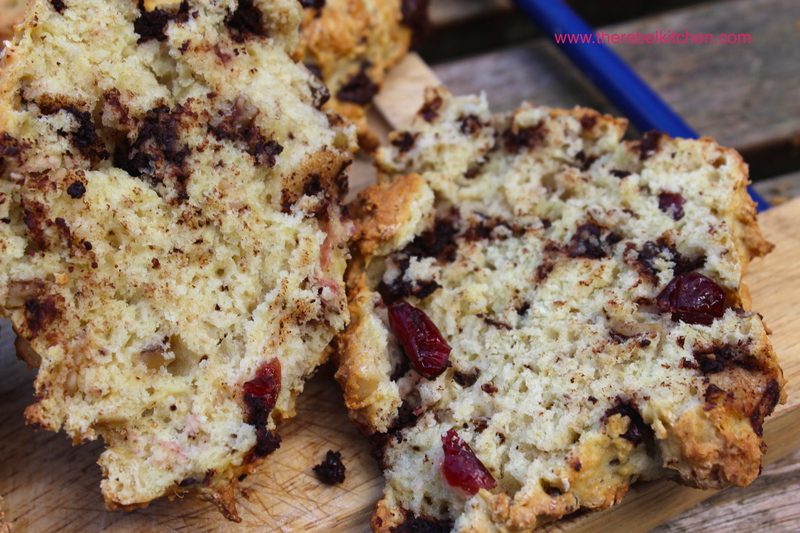 Apparently the taste varies depending on whether you make it in the crossed cake shape (like pictured) or in a tin, with the round cake shape being preferable. 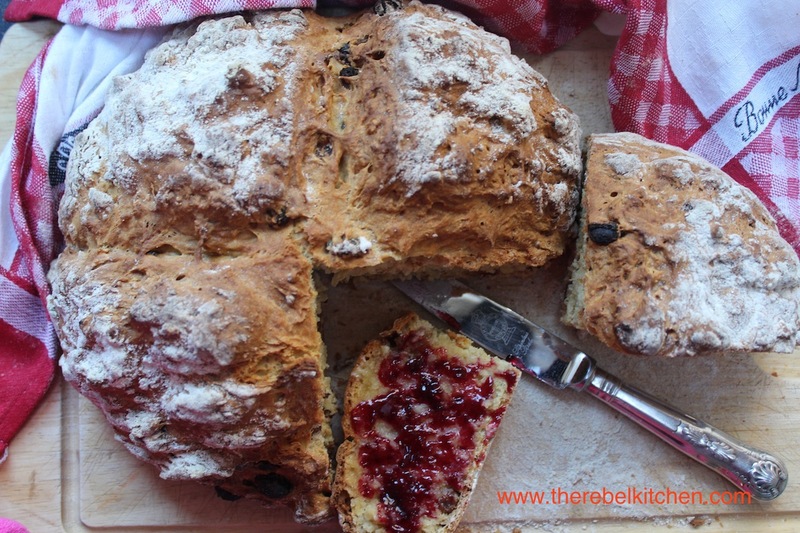 This is the bread that cheered me up at 5am yesterday morning with a nice spoon of Flynn’s Kitchen raspberry jam on the long road back to Dublin. 2. 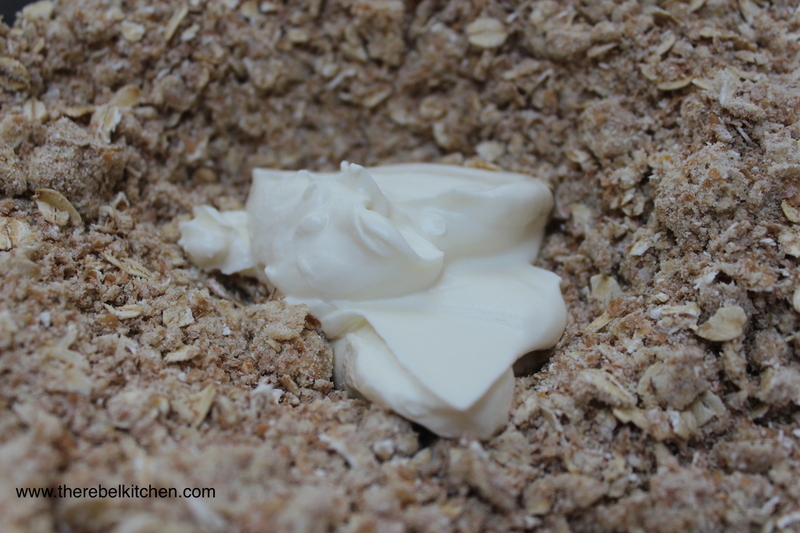 Mix all the wet ingredients and add the oats to soften out for about 20 to 30 minutes. Mix the wet ingredients to the dry ingredients and mix together well, again by fluffing the ingredients up with your hands. 3. 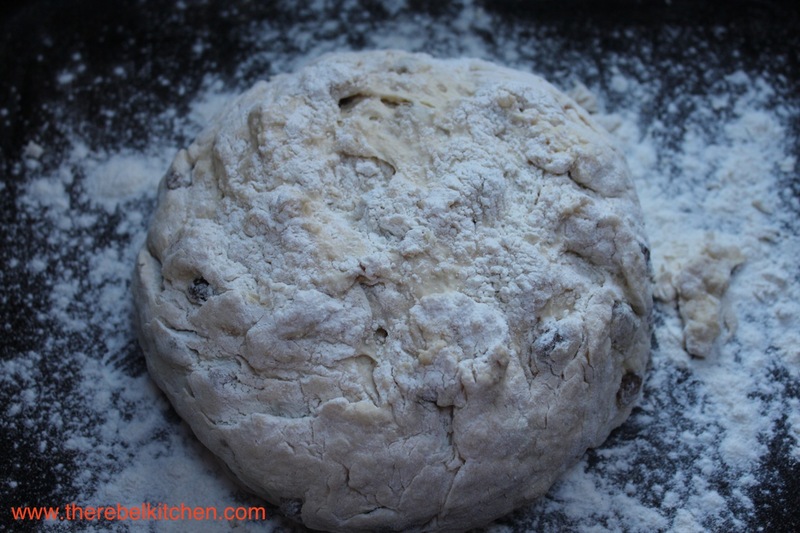 Sprinkle your work surface with the extra coarse flour and place the dough on top, shape into a round with your hand and carefully flip it upside down to coat the other side (it’s a very soft wet dough, so be careful not to put your hand through it. 4. 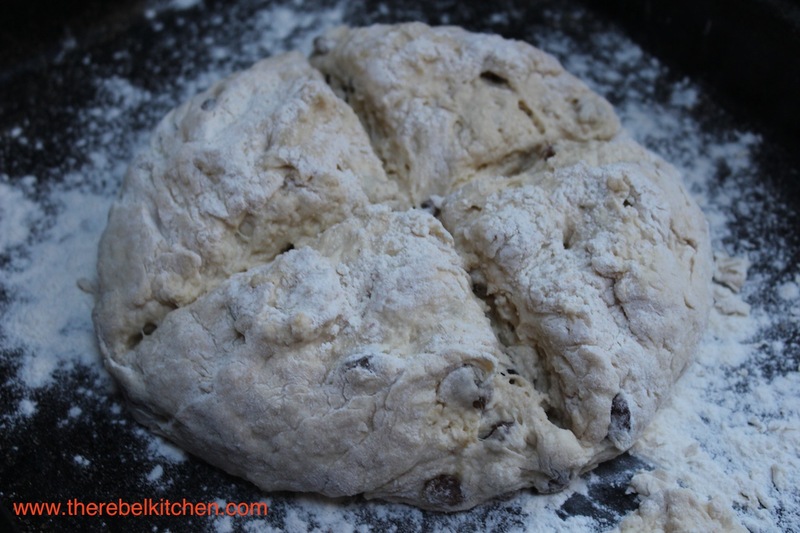 When your dough it nicely coated with the coarse flour let it sit for 10 minutes, then cut a cross on top and pop into an oven heated to 240C for about 40 minutes. When it’s done it should have a hollow sounds when tapped on the bottom, also when you press down on the top the bread should hold its shape and not sink down. 5. Enjoy this with pretty much anything! 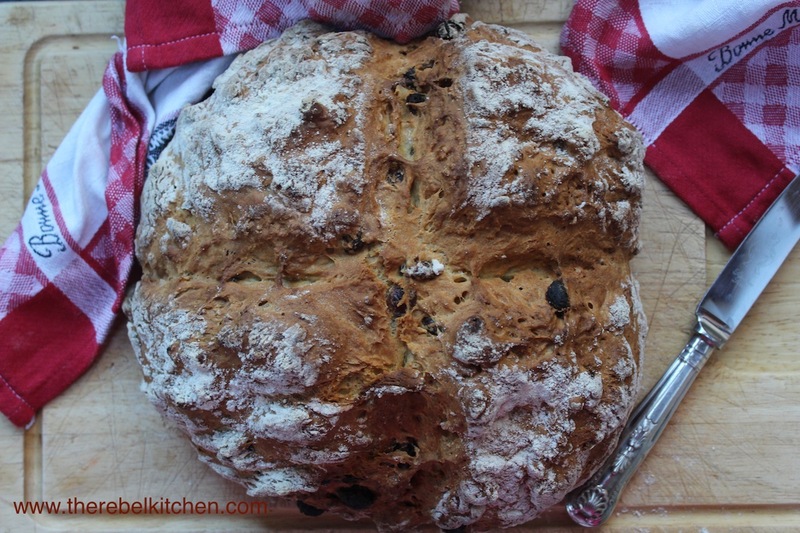 I love a piece hot from the oven with butter and jam, but it’s also perfect with soups and for sandwiches.